This might be the most 2018 thing ever. Richie Incognito was named as the “first national ambassador” for Boo2Bullying, an anti-bullying non-profit group based in Los Angeles, according to ESPN’s Mike Rodak. This is 100% serious. 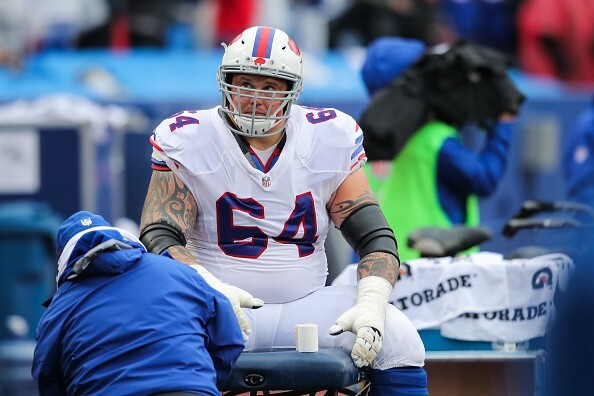 The former Buffalo Bills guard will be introduced at an event later this month. If you can remember, and I’m sure you can, Incognito was at the center of a major bullying scandal after he and two other teammates were found to have been involved in a “pattern of harassment” against then-Dolphins offensive lineman Jonathan Martin. As far as his career goes, the free agent had a bizarre interaction with his last employer, after which he asked to be placed on retired/reserved list, only to change his mind soon after. After he refused to attend voluntary camp. the Bills ultimately decided to grant his wish of being released. Just days after being released from the team, Incognito would spend three days in a mental hospital after an alleged disturbance at a gym resulted in him being taken into custody.